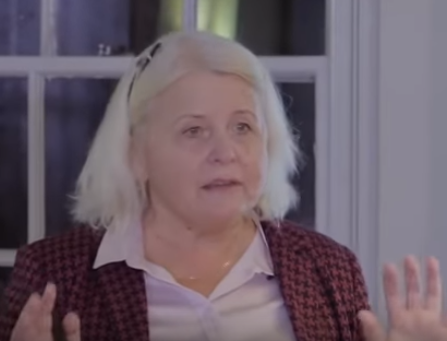 One such climate scientist is Valentina Zharkova, an astrophysicist at Northumbria University in the United Kingdom. Zharkova and her team of researchers say that, based on mathematical models of the Sun’s magnetic activity, it’s likely Earth will experience decreasing magnetic waves over a 33-year period beginning in 2021. Many of those convinced that humans are responsible for the higher global temperatures recorded over the past century have already started to dismiss Zharkova and others who say global temperature could soon level off because of solar activity. 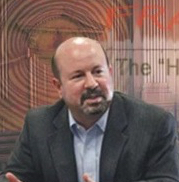 Michael Mann (pictured), a professor at Pennsylvania State University who created the controversial “hockey stick graph,” told the Washington Post in 2015 the effect of lower solar activity would be “a drop in the bucket” compared to the effects of carbon dioxide. If Mann and others who believe that humans’ carbon-dioxide emissions are driving climate change are wrong and lower solar activity occurs and has a cooling effect on the climate, the results could prove disastrous for climate-change crusaders in the Democratic Party, United Nations, and elsewhere who desperately want to impose restrictions, punishments, or both on carbon-dioxide emitters — which, it’s worth remembering, includes everyone in the world, including you. Not only would a cooling effect completely undermine virtually every single climate model predicting steady warming over the next century, it would highlight just how flawed mainstream climate science has become. After all, if climate alarmists can’t accurately predict a 33-year cooling period based on solar activity, why should we trust them to predict global temperature 100 years in the future? Contrary to the dire warnings routinely issued by left-wing pundits and politicians such as Sen. Bernie Sanders (I-VT), the debate over the causes and consequences of climate change is still very much alive. With that said, it’s worth pointing out just how ironic it would be if Zharkova’s reduced solar activity theory proves to be accurate and proponents of the theory that humans are responsible for climate change are right about mankind’s contribution to global warming. If climate alarmists are correct, then the planet would be much cooler today than it is now if humans were never to have produced significant amounts of carbon dioxide. That means that whatever cooling results from decreased solar activity would theoretically be much more extreme without humans’ CO2 emissions. That’s incredibly important because cooler global temperatures have historically been linked to deadly living conditions for humans, plants, and wildlife.